Every now and then you’ll find a flurry of posts and magazine articles talking about pet insurance – is it worth it, do you really need it, what are the best companies, and how do you choose the best solution for your pets? You want to do what’s right, but it’s all so confusing. You might start to feel uneasy, maybe even a little panicked knowing you haven’t opted into a plan yet, but here’s the thing: Purchasing an insurance policy early in your pet’s life generally means lower monthly payments. That can be a crucial element in a tight budget. Having insurance is not only about protecting our furry family and getting them necessary medical care, it’s also about avoiding being in the untenable position of having to kill your dog because you can’t afford to pay $10 -15,000 for a lifesaving cancer operation, car accident injuries, or other devastating illness. I confess I took a gamble with Tashi. I thought about insurance 16 years ago, then I waded through plans, deductibles, exceptions, weird fine print that left me scratching my head – the whole thing made me uncomfortable. So I did nothing, hoping for the best. When his canines fell out shortly after he came home, and then never grew back, I got worried. Then he couldn’t keep any organic kibble down, so it was back to cooking for dogs. Things calmed down completely after that and he hasn’t really been sick in the intervening years until recently. It would have been nice to have insurance with Tashi’s recent trouble. Vet bills add up in a flash, are usually a surprise, and come at the worst possible time. My dog had a cough that wouldn’t go away. (I know!) With my heart pounding, we went to his Veterinarian. He had a physical exam, a blood test, and a set of two x-rays. 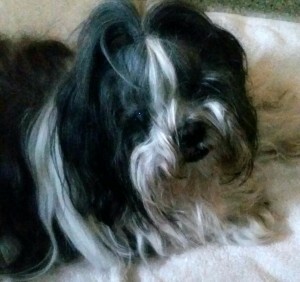 No collapsing trachea, a condition Shih Tzus can have, was evidenced. Well, that was a relief! I felt like I could safely exhale. His lungs showed fluid present and a couple of courses of antibiotics and steroids ensued. Later, x-rays showed clear-as-a-bell lungs. His cough is permanent as are the steroids with a cough suppressant. Shortly after the vet trips, Tashi’s eye swelled so much it scared me. Off to a specialist. The trouble is age-related, and four meds for his eyes will stave off the loss of his sight. Trouble happens fast! It’s been reported in the industry that every 6 seconds a pet parent is faced with a vet bill over $3,000, and 1 in 3 pets will need unexpected vet care. Of the $12.2 Billion projected spend on vet care, I’ve contributed my small share. So far I’ve spent close to $2,000 and medications will be on-going monthly at nearly $200, which is not much given a healthy lifetime, but there’s a lesson here. Gambling in matters of health and welfare is unwise – our dogs deserve better. A rough estimate for pet insurance coverage can be less than $20 a month to $50 depending on the age and breed of your dog. I’ve seen and heard the suggestions about saving the money yourself in a separate fund, but I just can’t get behind that. Life has far too many “emergency” scenarios that would justify “borrowing” those funds. I wouldn’t want that kind of guilt to rain down on me should something terrible happen. A PetInsuranceQuotes.com journey can start with a quote, comparing all 12 US pet insurance companies, the quick way to determine costs and benefits, or check out the review section to get a real sense of how customers have been serviced by companies you’re interested in. There’s also a profile page for each pet insurance company, updated regularly to include policy changes. You’ll get company ratings, reviews, and scores, waiting periods, exclusions, a company snapshot and a little history. Wherever you begin, the company rankings, information, and tools are accurate and up-to-date, as promised. I know one of the problems I had when searching for insurance all those years ago was frustration with terminology. If there’s anything more time-consuming than trying to find the meaning of what can look like word salad to a non-industry insider…but you don’t have to endure that with this page which clearly defines pet insurance terms. Who needs surprises arising from misunderstanding your terms of insurance? There’s no fee for service, and you won’t get charged higher rates on your new pet insurance policy. Companies are ranked using a 100-point pet insurance score, factoring in customer satisfaction, price, and coverage for every company and plan, explaining in detail how those factors are weighted. Savings are important to everyone, and by comparing the plans available through PetInsuranceQuotes.com, you can save 25%, sometimes more. They are independent of any insurance company, and present information without bias. 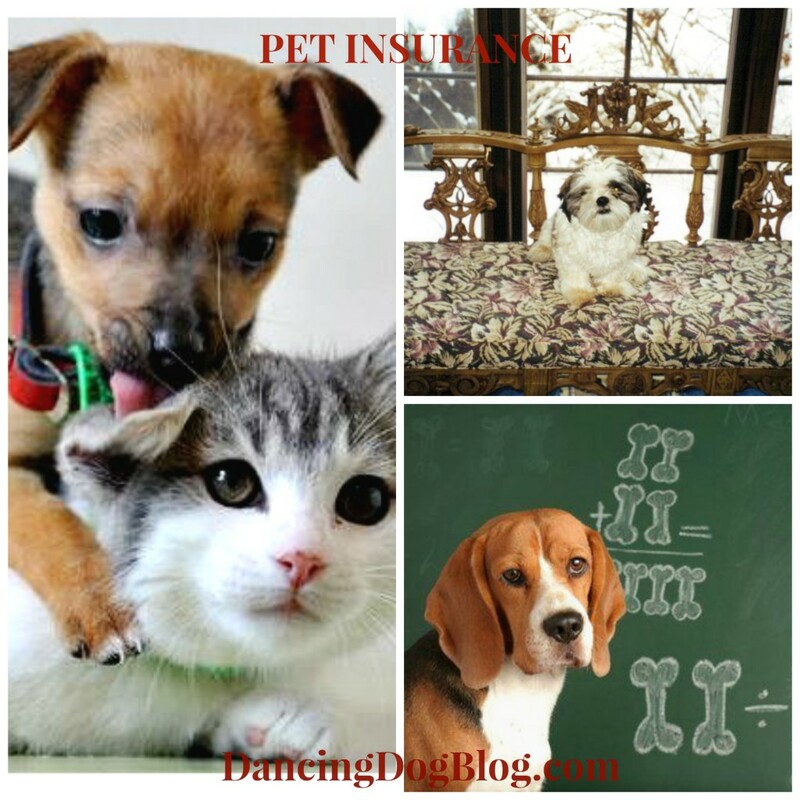 PetInsuranceQuotes.com know their industry and are the only pet insurance agency to be licensed in all 50 States. Since 2011, they’ve sold thousands of policies and provided over a million people with important information via the easy to use quote system. On a scale of F to A+ at the Better Business Bureau, their rating is A+. The policies you’ll see quoted cover accidents and illness to hit the most economical price point, but, with some companies, a routine care policy can be added if that’s a concern. You should know that no pet insurance company will cover pre-existing conditions, one of the very good reasons to get insurance in place while your dog or cat is young. You’ll have to decide what kind of coverage you want for your dog, what hereditary diseases are concerning, and how that squares with your budget. I think PetInsuranceQuotes.com offers a thorough yet easy way to get your questions answered and find the policy that will work for you and your pet throughout their lifetime. Just for fun, well, if you’re into oddball facts like me, check out this page with a brief history of pet insurance. Did you know that Lassie was the first dog in the US to be insured in 1982, or that the first policy issued in the UK was in 1947, and well ahead of everyone was someone in Sweden who in 1890 insured horses and livestock. Wow awesome knowledge about pets and dog insurance policy. for their life and secure and treatment etc. Important thing choose a insurance policy that pays out throughout your pet’s lifetime. Thanks for this info! I have been considering pet insurance and this will definitely help! Do you know of a pet insurance company that will accept a pet with a pre existing condition? I am drawn to rescuing special needs dogs and have not yet found one, though I'll admit I was disappointed my 1st time around so I have not done an in depth search since. That is where I have used, quite successfully, the savings account. Admittedly, since they are special needs and we withdraw from it frequently and deposit monthly, we are less likely to spend the money for anything other than them. I would be open to an insurance plan that accepts the special needs though. @Denise Gruzensky No pet insurance can unfortunately cover pre-existing conditions due to the fact that pet insurance is regulated as property insurance. 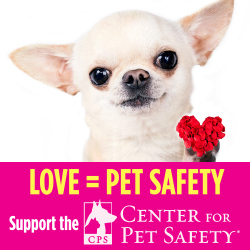 We never think of our pets that way, but that's how they are legally regarded. @Denise Gruzensky We only recently, as a Nation, have pre-existing condition acceptance from insurance companies for people, thanks to the ACA even with all it's faults. As courts start deciding cases in favor of pet parents suing for wrongful death, and as that becomes common and accepted, I would bet we'll see other interesting changes in the status of pets ripple through industries, including pet insurance. Thanks so much for this awesome, helpful info! I once won a years worth of Pet insurance when my dog was a puppy. I never needed it but I also didn't like it because I wouldn't have been able to use my own Vet! It is a great idea though so I'm thinking about it. I don't currently have pet insurance but have thought a lot about getting it though. @markandjenna01 If nothing else, it's a good opportunity get acquainted with what's out there =) Thanks for stopping by! Thanks for sharing. I've had pet insurance for the past 7 years on my cats. I'm pleased with my current insurance, Trupanion, but it's always worth checking out the other companies. What great information. Thanks for sharing! This is a really helpful post. I don't have pet insurance - mainly because I've never known where to start looking for the best options. Both my previous dog and my current dog have had multiple health issues and I know I am silly for not having insurance. Maybe I will use this post as inspiration to start looking into providers. Thanks for this informative post! My sister has pet insurance and it has proven to be very handy for her. Great post, thank you! After three back surgeries for our dog, we now have pet insurance for our three cats. With our dog, we DID have insurance prior to his first back surgery, but they didn't cover it for some reason (I don't recall what it was). And then no other company would insure him because of it. For our three cats, we haven't had to use it yet (thankfully). It is quite costly, and I sometimes wonder if we should cancel it. But I guess I feel better safe than sorry after going through all that with our dog. @threechattycats Glad you liked it! There are some cases where pet insurance just isn't something you can afford (I have a friend with 6 animals) and in those cases, it is a good choice to sock away cash every month for surprise vet bills. It's better than nothing, and when you have a big bill staring you in the face, you'll be glad of something to put toward it. Pet insurance is SO important. There are some companies who provide the basics for dirt cheap and have varying plans! If you have a pet, you'll be saving yourself a lot of money doing this. I feel like we NEED it! With 7 dogs, our vet bills are outrageous anyway. But, then if something major happened it would be nice to have. Kind of like with us humans. @missmollysays2 You've hit that on the head, wonderful to have insurance when you need it =) I can't imagine the cost incurred with all those dogs -- whoa! Mr. N has insurance. It has paid for some smaller stuff here and there but I keep it for the peace of mind! The mom has always hesitated about getting pet insurance. She didn't with any of us...and for the most part has been able to handle the cost of our vet bills. But we understand how insurance sure can be a good thing. We tend to just keep a savings account for emergencies, but I have thought about getting insurance. I drove myself crazy with all the options when we got Penny... it's crazy! This is timely a we are getting a puppy and are considering this. 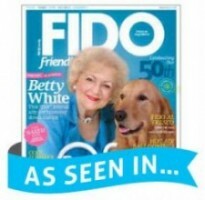 @houndstooth4 @dancingdogblog thanks for helping raise awareness for pet insurance!